After working from her home for nine years, Jody Nakoneshny knew it was time to move her spa out of her home. In September 2012 after carefully researching what the community wanted in a local spa, Nakoneshny opened The Lakeshore Spa. 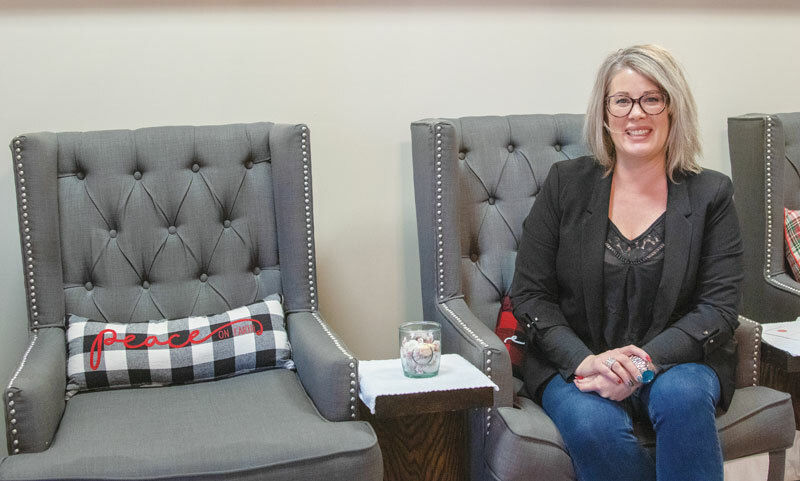 One of the hardest parts of opening a business for Jody was stepping back from being the front-line service provider to being a manager and business owner. “That was a hard transition, I love the industry, and I love doing the services,” she said. “It’s a bit bitter sweet, now I am the business owner instead of the technician who gets to take care of the clients,” said Nakoneshny. While she misses working directly with the clients, she feels lucky to have been as successful as she has been for the past six years. “I’m very lucky that I am able to have a store front like this,” she said. “I was able to share my ideas and help design a building I really thought fit with the community,” said Nakoneshny. “It’s somewhere in the middle, I consider it more a boutique,” she said. Even after six years, the spa continues to be a lot of work. “It’s certainly not easier, it’s just different,” said Nakoneshny. Given her time commitment to the spa, Nakoneshny has had to find ways other than volunteering to be involved with the community. “When I have extra money I like to donate,” she said. One fundraiser that she held for the food bank stands out to Nakoneshny. “I did a spray tan for a can and…it was amazing,” she said. Everyone who participated in the fundraiser brought a much bigger donation than she hadwhat was suggested. “The bin was actually filled, everyone who came in for a tan brought bags of food,” said Nakoneshny. “I love the generosity in the town,” she said.